Sometimes, you just try to get ahead in life. And sometimes it backfires on you. This seems to be a running trend with public officials, especially insurance commissioners. A recurring theme with insurance commissioners labeled as corrupt is the misuse of their positions in office to benefit them and advance politically. However, the end result unfortunately turns into a front seat before a judge. A little background on what an insurance commissioner should actually focus on is this. The basic definition is a “top state regulator of the insurance business who is either elected to office or appointed by a state to safeguard the interests of policy owners.” The states slightly vary, however, in regards to whether the insurance department/division is autonomous or actually a portion of a larger body. For example, the State of California has an insurance commissioner who oversees and directs all of the functions within the Department of Insurance. In Florida, the Chief Financial Officer oversees the Department of Financial Services. These positions and offices are essentially very similar, however, the Chief Financial Officer in Florida is actually a combination of the former offices of Comptroller, Treasurer, Insurance Commissioner, and the Fire Marshal. Back to the corruption. There have been a handful of insurance commissioners in recent years that have jeopardized their careers because of unethical practices. Instead of boring you with a laundry list, we’ll just focus on three juciest. Former California Insurance Commissioner, Chuck Quackenbush, served between the years of 1995-2000. 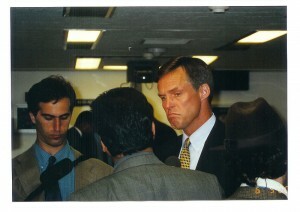 He officially announced his resignation from office on June 28, 2000. The corruption of the California Department of Insurance was revealed when Cindy Ossias, a senior lawyer within the Department, exposed the allegedly illegal and corrupt actions of the insurance commissioner. Apparently, Quackenbush allowed insurance companies (State Farm, Allstate and 20th Century Insurance) to compensate their clients much less than the actual damages after the 1994 earthquake in Northridge, CA. These insurance companies had set up special “educational funds” to create television commercials as an exchange. The commercials were disguised as public service announcements. However, suspicions arose, with people assuming that Quackenbush used these commercials to achieve electoral gain. He eventually resigned in June 2000, after putting Ossias on administrative leave after her identity was revealed. His resignation was effective on July 10, 2000 as he managed to avoid impeachment. He eventually became a sheriff’s deputy in Lee County, Florida. Unlike Quackenbush, former Oklahoma Insurance Commissioner, Carroll Fisher, was actually impeached by the state House of Representatives. He had resigned in 2004 after being convicted of embezzlement and perjury. On February 17, 2006, he received a one-year sentence on the embezzlement count and a two-year sentence on the perjury count. These sentences were to run consecutively. In May 2003, Fisher had embezzled his own campaign funds after depositing a $1,000 campaign check into his already overdrawn bank account. The perjury count? He never disclosed this information. But that is not all. In addition to these two counts, Fisher also faced allegations of bribery, filing false income taxes, and failure to pay money over to a state. According to an article found on www.bubbaworld.com, he allegedly also failed to register a charity, failed to report charitable contributions and failed to keep appropriate records of contributions. He unfortunately continues to visit the courtroom, despite his shady past. Recent research discoveries have found him serving a six-month sentence. He had pleaded no contest to accepting bribes and was serving his time in a private lock-down facility in Tulsa, Oklahoma. As if he has not already faced enough humiliation. 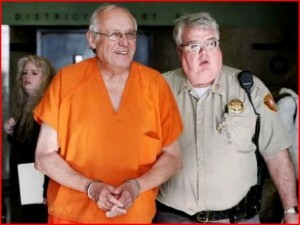 The prosecutors, however, surely would not mind seeing him serve even more time behind bars. The last of the top three is the insurance commissioner from Florida. Kevin McCarty had allegedly solicited campaign money from lobbyists in the industry that he regulates. His intentions were simply to just help out a friend. In 2007, McCarty was “assisting” Robin Lotane, the wife of a man employed by the Office of Insurance Regulation. She was running for the position of the Leon County Circuit Court Judge and McCarty was playing the role of a fundraiser sponsor. Apparently, McCarty was urging lobbyists to attend an evening fundraiser that was held to support Lotane. This upset Florida Cabinet members, since McCarty was obviously using his position as a way to garner support for a friend. As a result, Lotane was suspended with pay from her position as chief assistant state attorney. Her husband had resigned. Lotane’s husband was working on his wife’s campaign invitation during work hours and McCarty’s involvement was purely inappropriate. 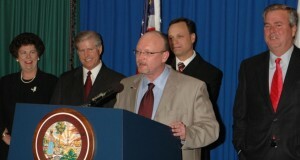 Lotane had stated that the campaign invitation was “never sent to anyone on a state computer, but it was still a terrible error in judgment for which I sincerely apologize to the commissioner, to all my superiors and to the people of Florida,” Lotane wrote. “That is why I resigned my position this morning.” McCarty on the other hand, is still in the office.